I was flicking through an older issue of EDGE recently when it dawned on me that, despite only being just over a year old, 2009’s games feel like a long time ago and in some ways, from a different period. They aren’t, obviously, but I suppose it’s the sheer quantity of games that came out in the past year that leaves the impression that the likes of Left 4 Dead 2, Modern Warfare 2 and Uncharted 2 all came out ages ago. Right from the get go 2010 started with a bang, three games coming out that sought attention instantly -- perhaps due to the satisfaction that there were actually things to play after Christmas, instead of the usual dull period everyone is accustomed to. Bayonetta, Darksiders and Mass Effect 2 all came out in January, opening a year that, seemingly, had big-name titles in every single month that followed. It was an incredibly packed year -- we knew it would be as we approached it in 2009 -- and while a lot of titles were probably a let-down in the end, there’s no denying that the general quality we saw in 2010 didn’t just raise the bar for the medium as a whole, it exhibited a shift in the way games were perceived in general -- a step in the right direction. It gets said every time we see GOTY awards but I think it would be fair to say that 2010 was the best year for videogames yet, due to many reasons, so going forward it will be interesting to see how long it is until the bar is raised again. There seems to be a pattern where every three years or so the standard increases with 2001, 2004 and 2007 being sublime examples. Anyway, despite always hesitating with these things I’m here once again with my own nominations for last year’s best games. Unlike most other outlets however, I decide to go ahead with my picks for Games Of The Year because of two reasons: it highlights the games I’m interested in to you guys, allowing you to get to know me a little better; and it lets me explain why I’d like certain elements of these games to be pursued in the future, for better or for worse. It’s an approach that I find interesting simply because I can revisit my thoughts at any time and see if other developers have taken on board some of the great things that were demonstrated in 2010’s games, and it is one that I hope you will enjoy as well. Last year I celebrated Forza 3’s comprehensive dedication to car culture; Uncharted 2’s creation of characters that seemed like friends or companions rather than AI constructs; and Flower’s wonderful, serene combination of emotion, wonder and discovery. This year, I have even more games to look at, starting with the first handful below. Of all the games I had to pass up on last year -- including titles that were important to me such as Metroid: Other M and Mafia II -- Mass Effect 2 was the one that I deeply regretted. I loved the first game but for some reason forgot just how much, meaning I was interested in the sequel but believed I could ignore it -- a big mistake. 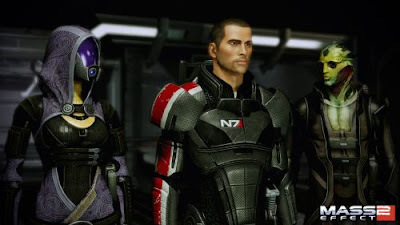 I knew ME2 was a quality game due to the critical and commercial acclaim it received, but I still felt comfortable casting it aside until hype started to surround the release of the PS3 version. I played the game’s demo and was instantly reminded of a world that is exactly my kind of thing: a game set in space featuring cool planets, aliens and science fiction. Suddenly, I had Mass Effect fever and since I did actually own the game thanks to a friend who purchased it on my behalf, I immediately requested that he send it to me so I could finally play it. I wasn’t disappointed. 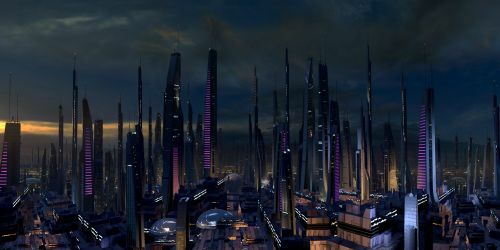 Where the original Mass Effect introduced us to the universe of this new and wonderful franchise, allowing us to learn about its species, planets, politics and personality, Mass Effect 2 allowed us to finally inhabit it. This distinction is small in comparison to the refinement and iteration the game received -- particularly in its mechanics -- but is still crucial in explaining why Mass Effect 2 is so damn compelling. By letting us exist within the universe rather than merely see and hear it, the game does what so many other recent titles have done so well: take us to places we can’t physically visit in reality. When you boil it down the world of BioWare’s space opera is nothing but an illusion -- just as every other game is -- and its characters, locations and general fiction don’t exist, but when you play Mass Effect 2 you truly feel like you’re traversing the galaxy, interacting with these still new and foreign -- but now wonderfully familiar -- species and ultimately learning about a universe that is not only worlds apart (literally) from Earth, but is characterized by a scope and scale that humanity’s home planet just cannot compare to. In the end it may just be a game, but the way in which it puts us in a setting that we’ve only seen and heard of before makes it one of 2010’s best, if not one of the best ever. Incidentally, I'll have more in depth coverage of BioWare's two games in the near future. This belongs on the list for so many reasons that have already been discussed elsewhere and, of all the games to have come out in the past year, is easily the one that stands out the most. However, despite its amazing quality it didn’t make as much of an impact on me as I was perhaps expecting and as such, it doesn’t compare to some of the other games you’ll find in my choices. My overall impression of the game could be hindered by the way in which I always feel like I am fighting to enjoy it -- mostly due to outside elements such as a massive spoiler which turned me off the game for a while and my inexperience with the Western genre -- but, whatever the cause, it’s worth mentioning here. Having said that, I have thoroughly enjoyed Rockstar’s latest and still find surprising new things each time I play, so it’s definitely deserving of a nod here as well as the adoration and respect it’s receiving elsewhere. Red Dead Redemption, I think it would be fair to say, blew everyone away in terms of how effectively it translated a common genre from another medium into our very own, its production values and ability to capture the Western feel being unparalleled in the industry. If anyone was going to achieve such a feat though it was going to be Rockstar, so while its extreme quality was a surprise, the achievement is not. What is a surprise is just how real it all feels while playing. Like Mass Effect 2 the best thing about RDR for me is its ability to not just show us a Western game, but to put us in one and allow us to experience what that is actually like. We’re not observing as John Marston hunts, rides into the sunset or pursues Bill Williamson, we are doing those things and, no doubt, having an absolute blast along the way. We’re not being shown the likes of Armadillo, Blackwater or Mexico, we are visiting those places ourselves, existing within those spaces just as much as -- if not more so -- than the people who actually live there. It’s a distinction that, once again, not only separates RDR from everything else but elevates it to a level that few games can match and is my main reason, I believe, for loving the game as much as I do. I appreciate the things attempted with the narrative (well, what I’ve experienced of it so far anyway) and the advances and refinement demonstrated by the mechanics, but it is Red Dead Redemption’s space and my ability to exist inside it that makes the game one of the best to have come out of last year. I find it slightly amusing that now Polyphony Digital’s latest is finally out, everyone has forgotten just how long it took to come. 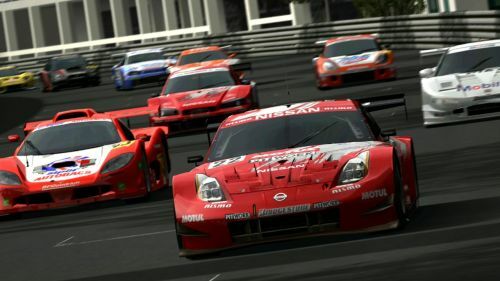 For so long -- years even -- people whined that Gran Turismo 5 was taking too long and jokingly stated that it would be the racing genre’s very own Duke Nukem Forever (and, on that note, look how that turned out…) but now that it is here no one cares and the game has, mostly, been put behind in favour of others. This could be down to the general disappointment that Gran Turismo 5 became, being nothing more than a refined, high definition version of what has come before, or it could be as a result of the always looking forward mentality that gamers and the industry so easily portray, but whatever the reason it’s as amusing as it is ironic and interesting to observe. Personally and not surprisingly given who I am, Gran Turismo 5 hasn’t been forgotten and in fact is a game constantly on my mind despite having not played it in a while. Its release brings about so many intriguing things to consider, not least of which is its dedication to the passion for and celebration of the automotive industry. More than anything else, Gran Turismo has always been about the cars: the speed, the technology, the thrill, and the engineering. This is evident in Gran Turismo 5, too, right from the opening clip. You can have your racing and celebrity drivers; in Gran Turismo, the cars take center stage and nothing else. Whether it’s a small, slow and agile car like the Mazda MX-5 or a supercar like the Pagani Zonda, each car has the chance to shine in Gran Turismo and each car is worth a drive. The original game brought with it the moniker of ‘The Real Driving Simulator’, a phrase that implied that no other game gave you a realistic simulation of what it was like to drive these cars, fast, around the various circuits. With Gran Turismo 5, that definition changes and instead represents what it means to simply drive: nothing more, nothing less. Sure, the driving is still done on the track and the game is still structured the same as it ever was, but after GT’s competition stepped up and, in some instances, overtook the successes of Polyphony’s famous franchise, the ethos changed and, upon doing so, changed the series -- a move that was necessary, and one that separates the game from anything else. It may go unnoticed when the game’s graphics, quantity of cars and tracks, and new additions such as NASCAR, WRC and weather effects take up all the attention, but the difference is there, subtly, and defines Gran Turismo 5 as a shift in the franchise. Whether this change proves to be successful remains to be seen, but it is this passion and celebration of cars that puts Gran Turismo 5 on my list, and makes me excited to not only revel in such adulation in the months to come, but excited for what the next installment will bring too. When I previewed this game, I made sure to be clear on just how important its emphasis on telling a good, mature story was to me. Now that I’ve played it and can reflect on my thoughts, I’m delighted to see that it delivered on my expectations. Alan Wake was a disappointment to a lot of people. Its long and arduous development period, combined with exaggerated hype, ensured that people wanted more from the game than it was probably capable of delivering, ending up in a fair bit of criticism as it fell short. That’s not to say Alan Wake is a bad game -- far from it in fact -- it’s just, people expected one thing and ultimately got another, and this left a lot of people feeling unsatisfied. 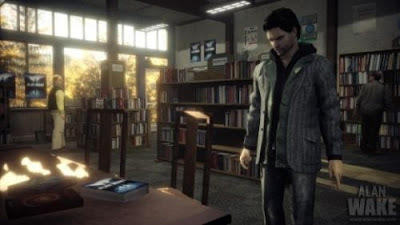 From its somewhat strange collectibles to the linear level design -- a direct conflict to the open-ended structure it was originally revealed to have -- what we got with Alan Wake wasn’t what we thought it would be, and yet, somehow, it was at the same time. Right from the start Alan Wake promised to tell a decent, mature story, featuring characters that we could relate to and a setting that was both awe-inspiring and natural. The final product delivered on all these fronts, telling a tale that while not new in other mediums was certainly new territory for games; using characters who, despite the supernatural elements of the game, were grounded in reality; and gave us a small, quaint town in Bright Falls in which we could inhabit, get to know the locals and, in my case, ultimately fall in love with. On this last point, the game dropped the ball a little by focusing so much on the light/dark mechanic, setting most of the game at night and ensuring that I couldn’t fully enjoy the beauty of Bright Falls, but this point is minor and I still came away satisfied with my visit. Even more enjoyable was the story, its realism -- even if inaccurate in terms of its depiction of a writer -- resonating with me where so many other games fail. Instead of flair and spectacle, Alan Wake had a sense of elegance and poignancy to it, something that was enhanced by the subdued nature of its tale of a couple trying to get away from their everyday life for a break, and by the laidback, happy attitudes of Bright Falls’ residents. Sure it has a strong element of supernatural, perhaps horrifying spectacle, but despite its prominence in the overall story -- particularly in the later stages of the adventure -- it can be overlooked when considering the realities demonstrated in the game, and what they mean for games going forward. It wasn’t the best story in gaming and the ways in which it was told were inconsistent, but the fact that it was telling a story in the first place makes it a game that I didn’t just enjoy, but one I hope is considered in the future as more and more developers shift their focus away from the bombast and flamboyance, and towards the potential of interactive storytelling. How do you take a series of games that, while fondly remembered, hasn’t been relevant for well over a decade and whose genre has moved on in a multitude of ways since? Donkey Kong Country Returns is how, and Retro’s latest game is a demonstration of how to take a quality product of years ago and give it the modern sensibilities necessary to make it successful today. The Donkey Kong Country trilogy was an amazing series of platformers that gave Mario a run for his money more often than not, if not in design than certainly in personality. They took a character that, while well-known, didn’t have the popularity the Italian plumber did, changed his perception from antagonist to lovable brute, and set him forth on adventures of bananas, evil crocodiles and the constant need to spell his (last) name. What followed was a fanbase and, as the years progressed nostalgia, leaving anyone who tried to revive the franchise with a lofty reputation to live up to. If you were going to choose anyone to give it a try it would be Retro Studios and, fast forward to the game’s release, you have a product that doesn’t just allow people to indulge in the familiarity of a series that they hold dear, but one that brings it to the modern era and establishes it amongst its more recent peers. And it is that word, modern, that summarises everything that’s good about Donkey Kong Country Returns: you’re still playing on a mostly 2D plane, going from left to right, collecting bananas and coins and jumping on the heads of your foes, but you’re doing it with better graphics and sound, and with level design that has had years of refinement and experimentation, rather than levels that emulate from one source. 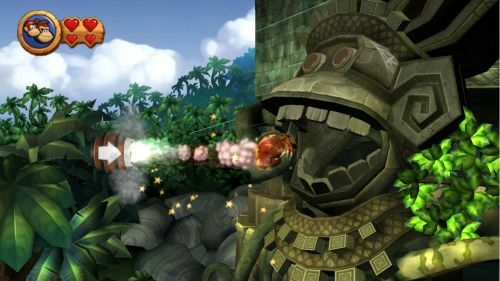 It’s a reinterpretation of what it means to be a Donkey Kong Country game, whilst still being a Donkey Kong Country game and as such it gave everybody what they wanted: it brought the franchise into the current times and made it relevant again, pleasing Nintendo; it let people relive their childhood whilst also experiencing a new direction for the series, pleasing the fanbase; and put the series -- and thus, Retro’s talent -- on par with its peers of today, pleasing the Texas based studio. It is everything you could want from a reboot and the example of how it should be done should any other developer, and any other franchise, decide to attempt a similar thing in the future. So, the possibility to visit places that we can’t in reality, a loving nod to and respect for all things automotive, and a demonstration of how to make something from the past important in the present (and, I hope, the future). An interesting, if eclectic, mix of games then, all worth playing and worth considering. You may have noted that I have been fairly quiet about these titles despite expressing my love for them. This will change in the near future as I have a lot to say on each of them, and will be posting those thoughts up as soon as I can. I have to agree with both RDR and Donkey Kong Country Returns. I think RDR had the best written story. It was witty funny and I just felt involved with all the characters. I think it also featured some of the most expansive DLC. They added, horse racing, poker, dice, and zombie horde mode and thats just the multiplayer aspect! The single player DLC was amazing making me love zombies once again. Rockstar has proved that you only need one game a year to prove your good at that's what Rockstar does. In regards to Donkey Kong Country Returns I did a review of this game for the website I volunteer for and the game just blew me away. It just reminds me of why gaming can be for everyone. I play with me wife from time to time telling her to jump on my back through the tougher parts of the game. I think this game also proves that 2-D games can rival the best 3-D games that are out there. Well more like 2.5-D but you get the point. Gaming in Public -- I have mixed feelings on the story (which I'll elaborate on in the near future) but to me the stand out from RDR, as explained in this post, is its game space. 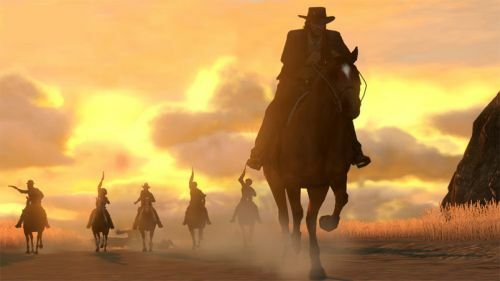 Trust Rockstar to not just show us how Westerns can be done in games, but to take us there too. Simply incredible. I also agree on the DLC, it's certainly comprehensive, but I've barely played the multiplayer so I can't really comment. I haven't gotten to Undead Nightmare yet due to not being finished with the main game, but it's not surprising that it's regarded highly. It reminds me of the GTA IV episodes, even if a little more humourous and created for fun rather than exposition. DKCR is kind of like a photograph in that it captures time periods -- the nostaligic past that the game was born from, and the modern sensibilities of platformers today -- and combines them to create something unique and special. I seriously hope we get another installment soon, if not other franchises rebooting with similar intentions.